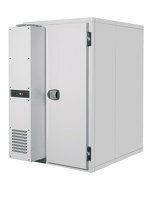 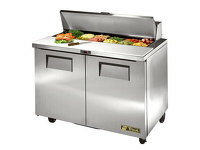 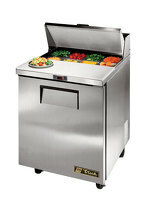 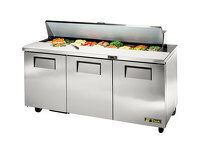 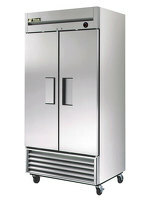 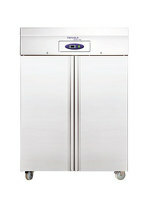 The larger TRUE TSSU-60-16 is a more ample salad prep unit, with a spacious workspace that extends further than the easy to reach refrigerated gastronome quick-access food containers.At just over a meter and a half this refrigerated prep counter is a functional tool with maple storage space that will improve your efficiency during service. 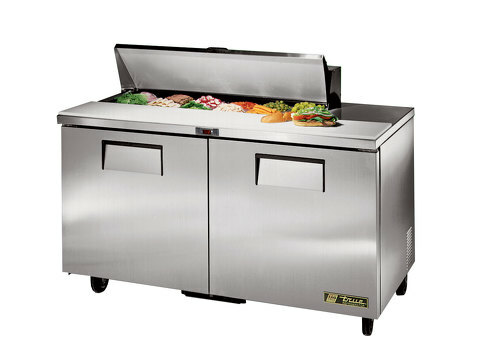 It is still a two door model and can be used as a refrigerated sandwich prep unit, or salad prep unit as they are sometimes called, which is easy to clean and functional to use. 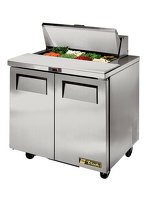 A whopping 440 litre capacity leaves ample storage space for perishable foodstuffs and you ingredients remain cool even when being used during service naturally extending their shelf life and as a result lowering wastage costs in the kitchen.